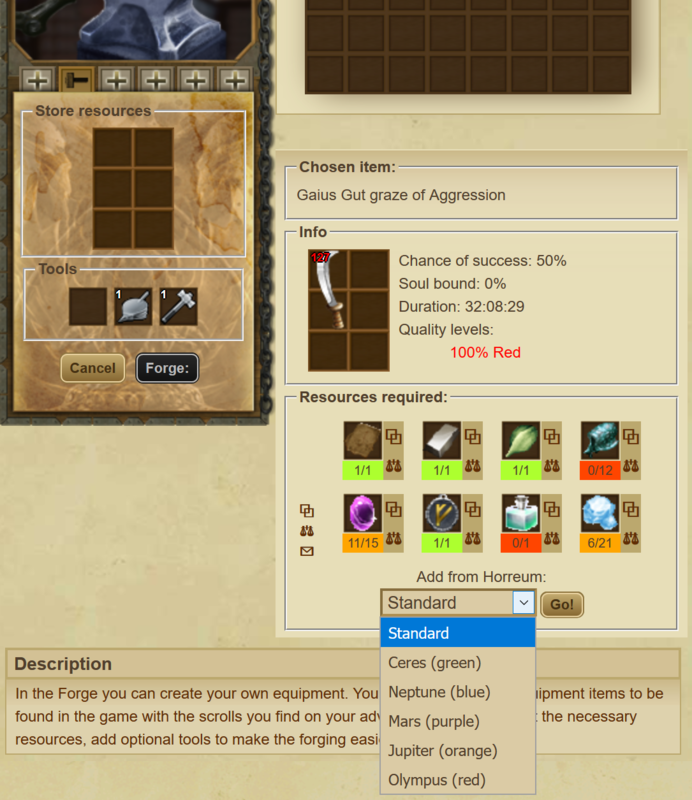 Gladiatus Horreum is the new version 3.1.0 feature for extra storage for our forging goods. The idea is to store them out of our bags. The Horreum also has the ability to upgrade material quality. You can store resources here to make space in your inventory. You also have the option of upgrading resources. For 10 units of the same level of quality, you will receive 1 unit of the next quality. The blacksmith will charge you a certain amount of gold or Rubies depending on the level of quality of the new resource. Click on the arrow in the storage overview below to upgrade. Horreum is officially part of the Forging system. Along with the coming of Horreum all of the Forging components (Smelter, Forge, Workbench, Horreum) are now part of the main menu for easier access. Horreum's main purpose is to store forging goods outside of the bags so they don't take bag space. Before Horreum, most of the bag space was used by materials of different qualities and players suffered low free space all the time. Horreum solves this problem and will hold materials for you in the Horreum system itself. You will need to deposit the materials you have in your bags or in the packaging system into the Horreum. This is how it's done. If you want to withdraw resources from your Horreum for whatever reason and have them in your bags/packages, you have the ability to withdraw materials from the Horreum and receive them as packages. Just choose which material, quality and quantity. The Horreum can upgrade your material quality color but it doesn't come for free. How can you do the upgrade? Click on the arrow where you want to upgrade. 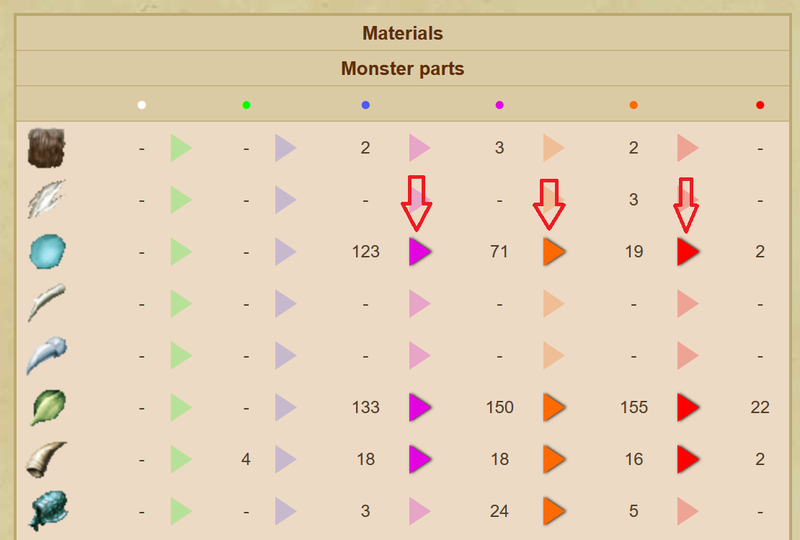 This is where you can look at how many of each material and quality you have in your Horreum. You can also upgrade them. So all of your forging materials are in the Horreum. How do you forge or repair your gear? 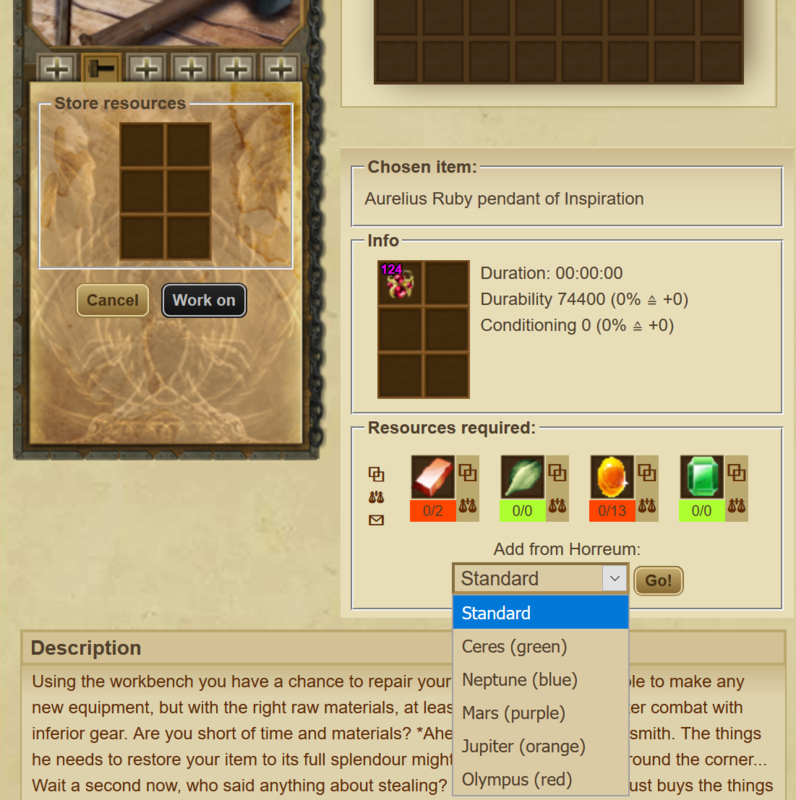 Well you can now use materials stored in your Horreum directly into the workbench/forge interface. However this is not perfect as this will automatically add all of the needed materials so you will not have a chance of choosing only certain materials to be used or not. If you want to place only specific materials of specific quality, you will need to withdraw them to your bags and then place them manually in the order/quality you want. Let's talk about what is good and what is not so good about Horreum. The fact that using the Horreum is a choice and not enforced on you makes it an all-win feature of the game. You could choose certain materials of your choice to sit outside of the Horreum for easier use. So Horreum is all great. However, if you choose to use it, Horreum comes with few shortages.